If using fresh corns then heat oil in a pan, add corns and cook until tender (it takes 8-10 min). If using frozen corns, defrost before using. Meanwhile mix all the other ingredients in a bowl (except salt, black pepper and lime juice). 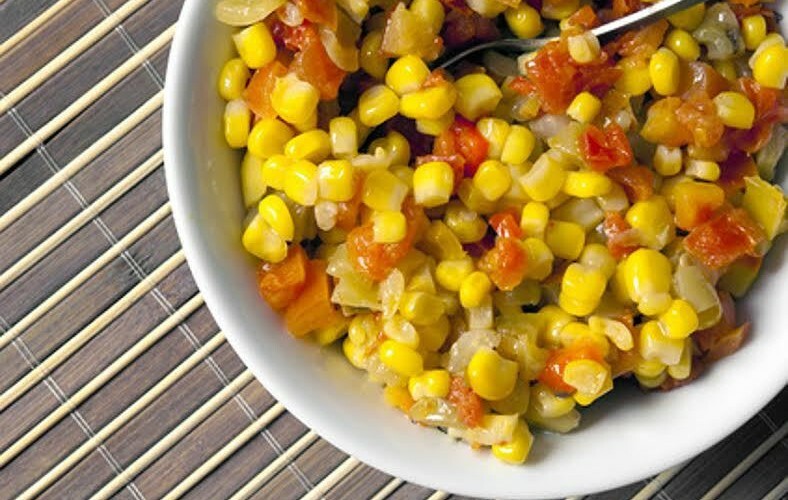 Add corns with the other ingredients when soften. Stir in the lime juice and season with salt and black pepper. Serve and enjoy.